Sweet taste with hits of caramel and honey, mellow and soft cup revealing the undertones of sweet aftertaste, producing saliva in mouth. the undertones of sweet aftertaste, producing saliva in mouth. This black tea has a pleasant aroma in addition to its mellow taste, accompanied by the notes of honey and caramel. This tea originates from the beautiful Fujian Province of China and is carefully crafted with plucking standard of one bud with one or two leaves. It uses Fuyun No.6 tea cultivar as raw material that features with sweet and mellow taste. Teavivre’s Golden Monkey Black Tea is not only offers a full-bodied aroma, but also tastes without any bitterness or astringency. Even on the first sip, you can still easily catch its pleasant sweetness, accompanied by a touch of honey and caramel. Overall, this is a real treat for black tea lovers and can be endured multiple infusions in a session. Given its remarkable sweet taste, we suggest you enjoy that and add nothing to this tea. However, you can also add sugar or milk to make a more wonderful cup based on your preference. Shangwan tea garden is located in Songluo Township, Fu’an City, Fujian Province. The existing tea garden in this town covers an area of more than 16,000 mu, and it’s also the second largest tea producing area in Fuan City. With an average altitude of more than 600 meters above sea level, the temperature here has large difference between day and night and the weather is generally warm and humid, featuring sufficient sunshine and abundant rainfall. Because of its good ecological environment and superior natural conditions, it makes this place very ideal for growing tea. Behind a good cup of tea, it needs our tea farmers to ensure the quality of the products at the source, take good care of each tea tree and give their plants careful nurture. Mr. Li is just such a tea farmer who attaches great importance to the ecological environment for the growth of tea and product quality. 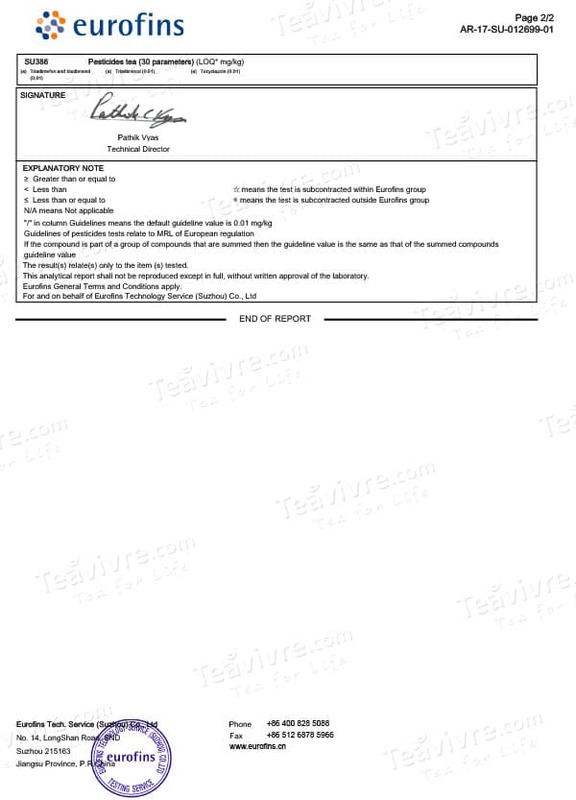 His tea plantation strictly carries out the highest quality standards in accordance with the domestic and EU rules. On the other hand, he is also deeply committed himself to providing “The Cleanest Tea” and “A Better Cup of Tea”. It is precisely because of the stick with this belief and his careful management to the tea garden, his tea is very popular with lots of tea lovers in and out of the country. This Golden Monkey tea comes from Fu’an City, which enjoys a very high reputation of “The Hometown of Chinese Tea”. 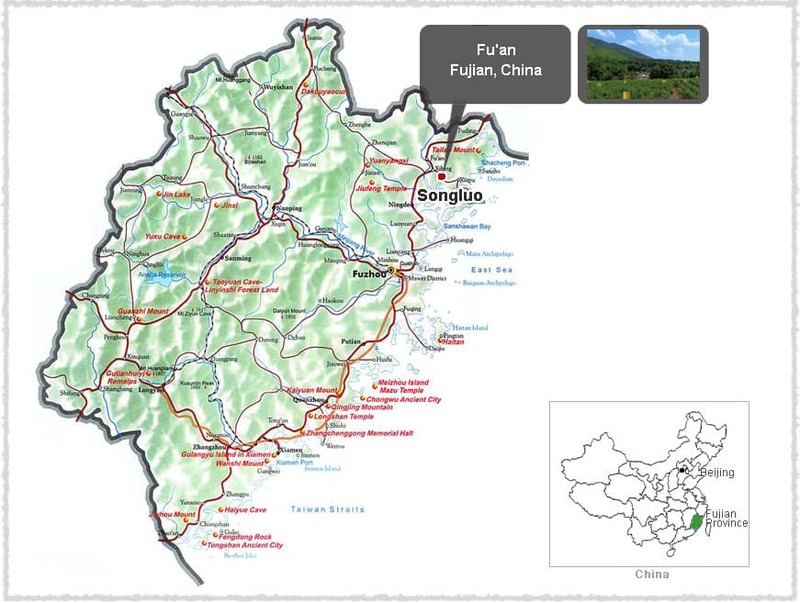 Fu’an is located in northeast coast of Fujian Province that has been ranked the first among the top three prestigious Gongfu black teas (Min Hong) of Fujian province. It's not only the birthplace of Tan Yang Gongfu Black tea, but also the largest tea producing area of green and flower teas. 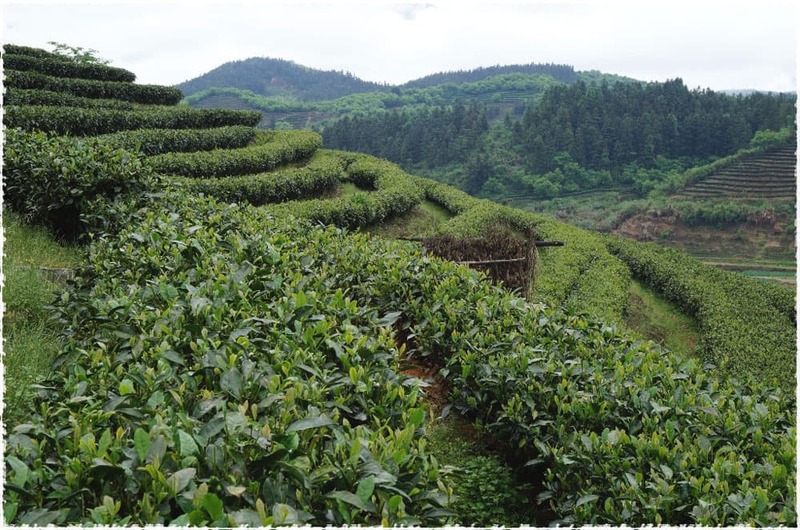 With the annual temperatures around 17.9℃ and annual precipitation averages about 1813.4 mm, Fu’an enjoys fertile soil and shrouded in mist throughout the year, which results in a very good environment for tea growth. 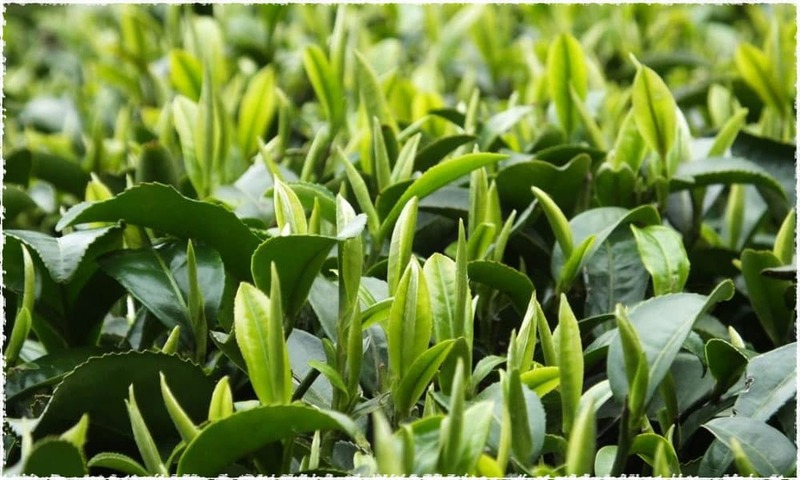 In addition, all the tea gardens located in Fu’an have passed the certification of pollution-free agricultural products in Fujian Province, it is also the first city to obtain that honor. 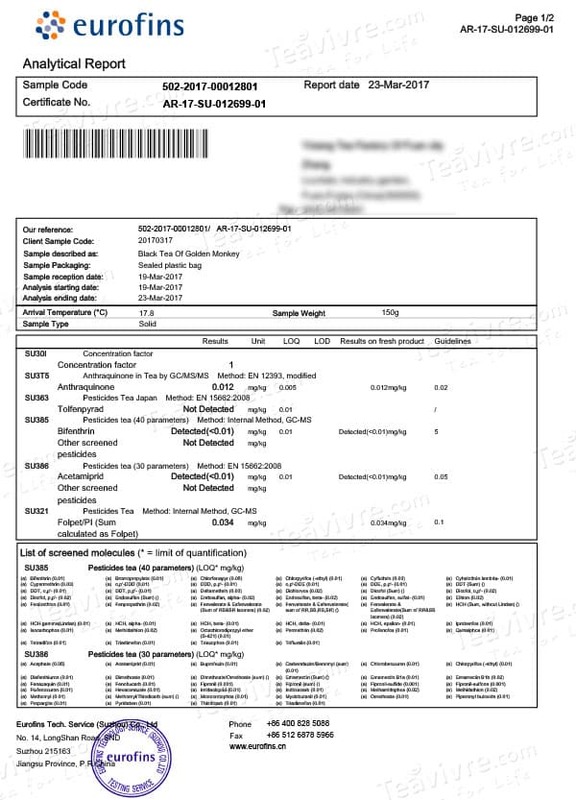 Fuyun No.6 was selected from the Tea Research Institute, Fujian Academy of Agricultural Sciences. 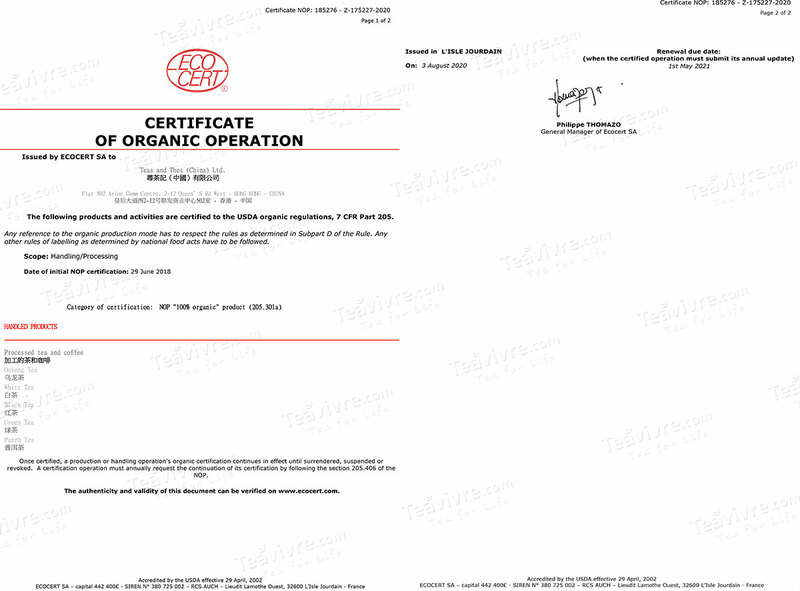 In 1987, it was certified as the province-level quality tea varieties with the number of GS13033-1987. This tea cultivar belongs to large-leaf variety, a kind of small arbor tree that propagated asexually. Typically, its tea buds and leaves are yellowish green in color with lots of white hairs. It contains 25.95% tea polyphenols, 3.43% caffeine and 2.58% amino acid, which is very suitable for making black and green tea.